Coach Mark points to the best marathon in Cville! 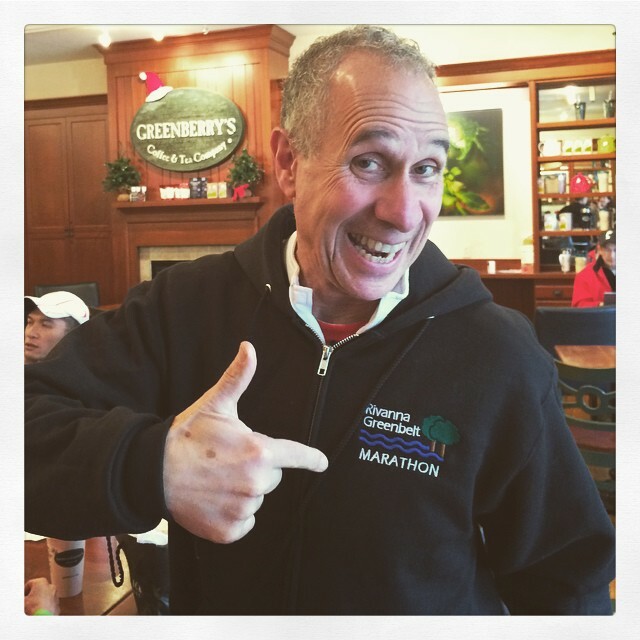 Sign up to be emailed about future dates for Rivanna Greenbelt Marathon. Purchase your own shirt with the race logo on spreadshirt.com. Rivanna Greenbelt Marathon Logo on LIGHT items or DARK items. This event is directed by an Road Runners Club of America Certified Race Director.